These premium Overlap Liners are constructed of standard gauge vinyl to last longer and maintain their beautiful appearance for years. The unique Lamiclear Process provides maximum protection from pool chemicals and the sun's damaging U.V. rays. Strong, double-welded seams will withstand winter's worst. Sunlight Overlap Liners will fit either a 48-in or 52-in sidewall. These premium Overlap Liners are constructed of heavy gauge vinyl to last longer and maintain their beautiful appearance for years. The unique Lamiclear Process provides maximum protection from pool chemicals and the sun's damaging U.V. rays. Strong, double-welded seams will withstand winter's worst. Blue Overlap Liners will fit either a 48-in or 52-in sidewall. These premium Overlap Liners are constructed of heavy gauge vinyl to last longer and maintain their beautiful appearance for years. The unique Lamiclear Process provides maximum protection from pool chemicals and the sun's damaging U.V. rays. Strong, double-welded seams will withstand winter's worst. Swirl Bottom Overlap Liners will fit either a 48-in or 52-in sidewall. Backed by a 15 year warranty. Sunlight 15 ft. 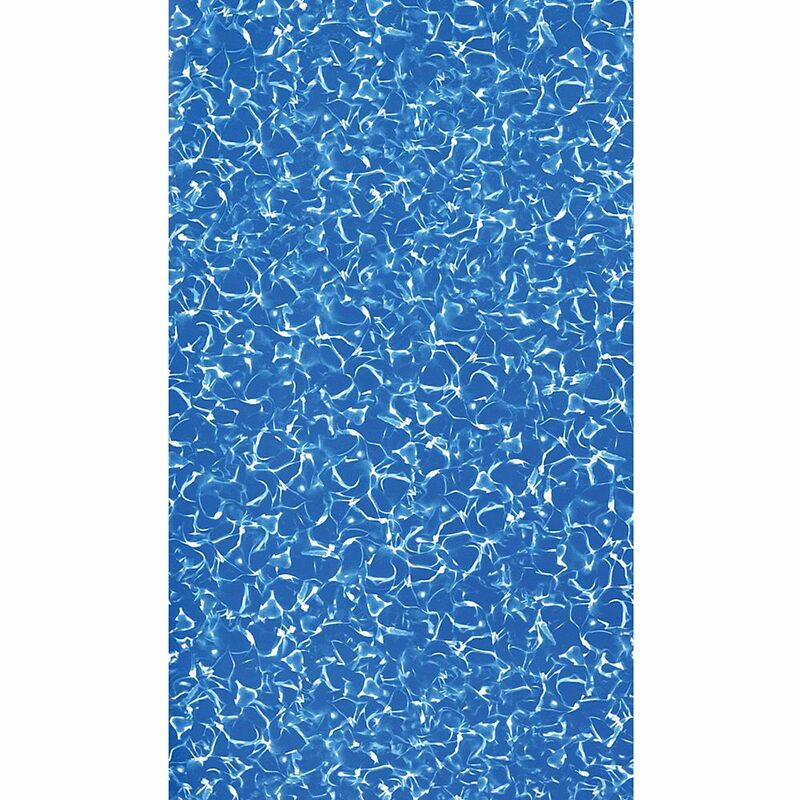 Round Overlap Pool Liner 48/52-inch Deep These premium Overlap Liners are constructed of standard gauge vinyl to last longer and maintain their beautiful appearance for years. The unique Lamiclear Process provides maximum protection from pool chemicals and the sun's damaging U.V. rays. Strong, double-welded seams will withstand winter's worst. Sunlight Overlap Liners will fit either a 48-in or 52-in sidewall.